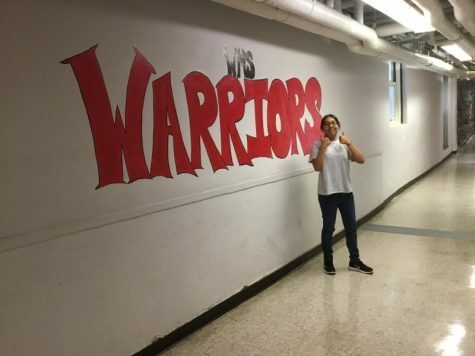 Noemi Grande is an eighth grader at WMS. She likes drawing, specifically humans, objects, and backgrounds. An interest Grande has is listening to music and her musical taste is all over the place. She listens to rock, alternative, kpop,and more. Some cartoons she enjoys are Steven Universe, Voltron: Legendary Defender, Bob’s Burgers,and We Bare Bear. Grande also enjoys painting but when she paints ,it gets everywhere.It gets mostly on her hands and one time she painted with her nose.